What Happens if You are Left out of a Will in Scotland? What Happens in Scotland if You Die Without a Will? What do you do when someone dies? Do I Need a Lawyer to Apply for Confirmation? Who Can be Appointed as an Executor? Guardianship Orders and Powers of Attorney - What is the Difference? Who Should I Appoint as my Executor? What are the Duties of a Guardian in Scotland? How Long Does it Take to Buy a House in Scotland? Can Stress be Eliminated in the Conveyancing Process? 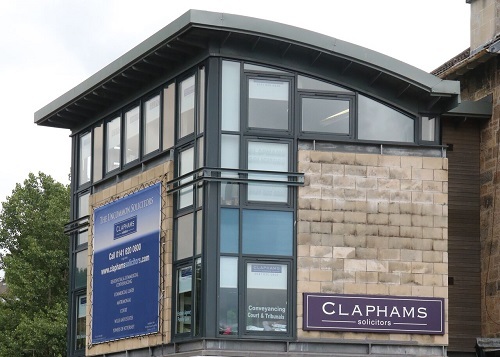 Claphams Solicitors opened in 1984 when the firm was named "David C Clapham". David's wife Debra became a partner in 2007 and the firm metamorphosed into "Claphams". Lucy Weaver then joined the firm as a partner on 1st November, 2015. Claphams are dedicated to client care. Our solicitors understand that legal matters can be extremely stressful, and we wish to ease that legal burden for you whilst keeping costs as low as possible. We also have a warm and friendly team supporting our solicitors. To talk to our experienced and respected solicitors based in Glasgow's Southside, contact us today on 0141 620 0800 or fill out our online enquiry form. Find out more about our expert conveyancing Solicitor, Debra Clapham, Editor of the 'Basic Scottish Conveyancing' manual.